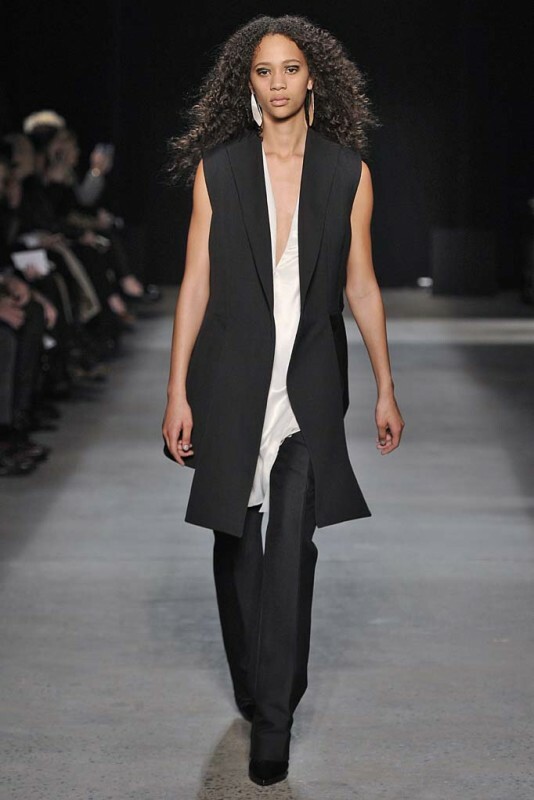 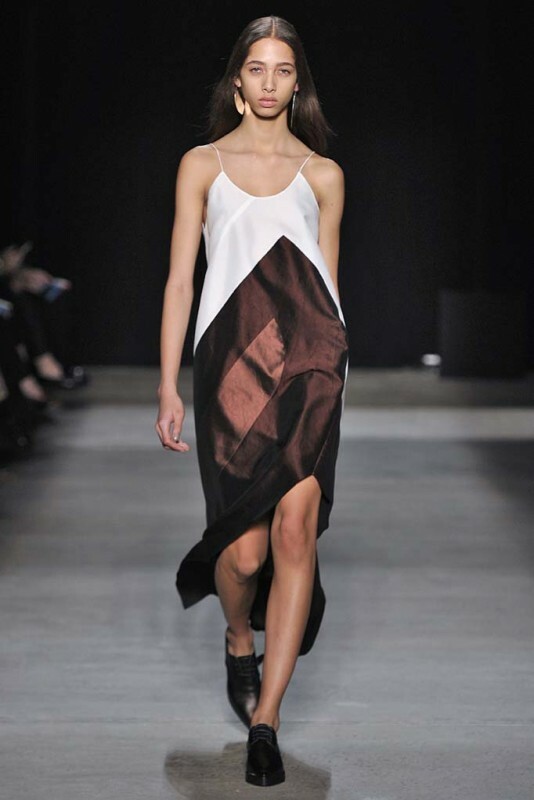 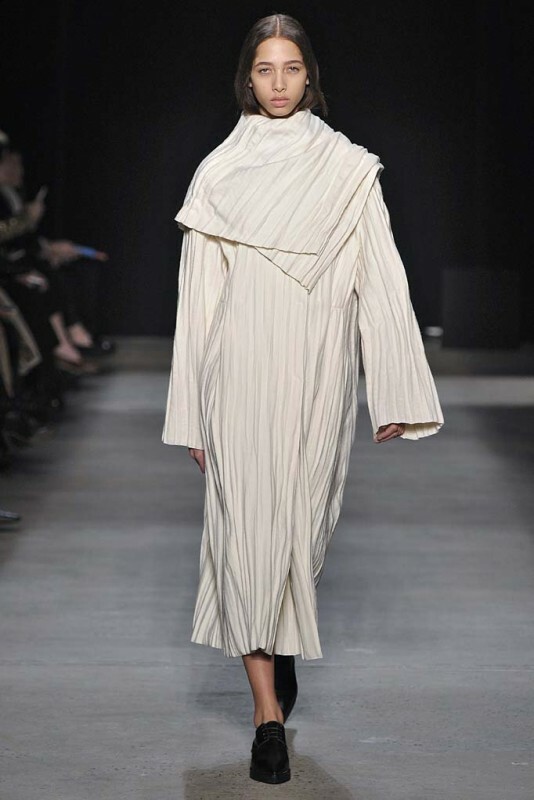 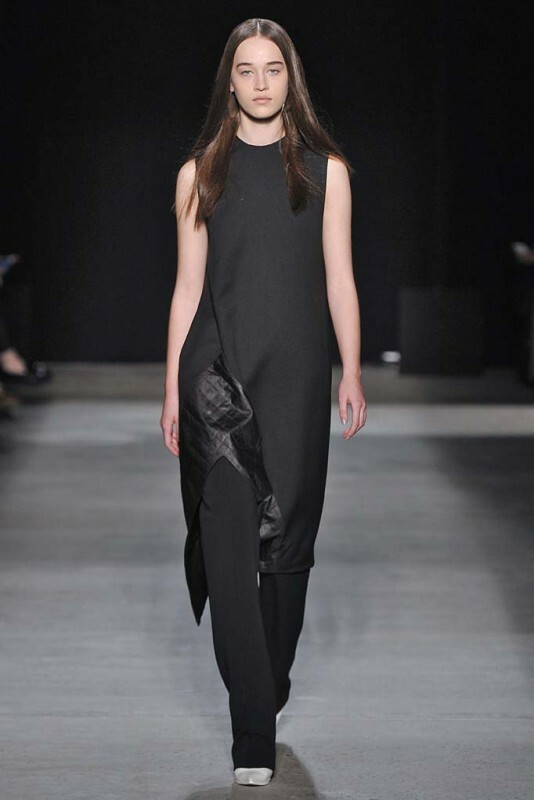 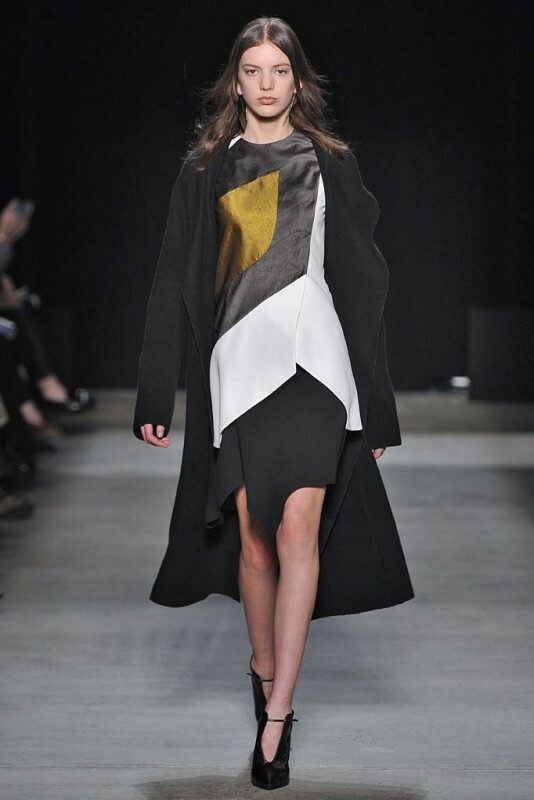 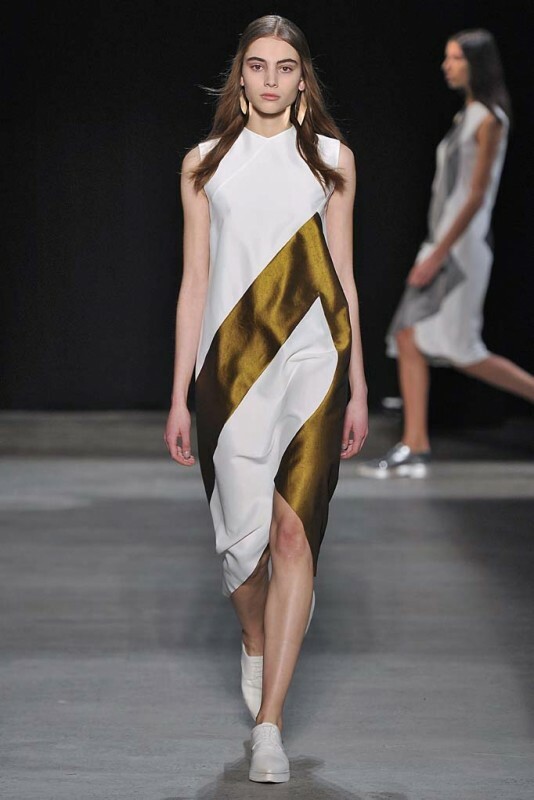 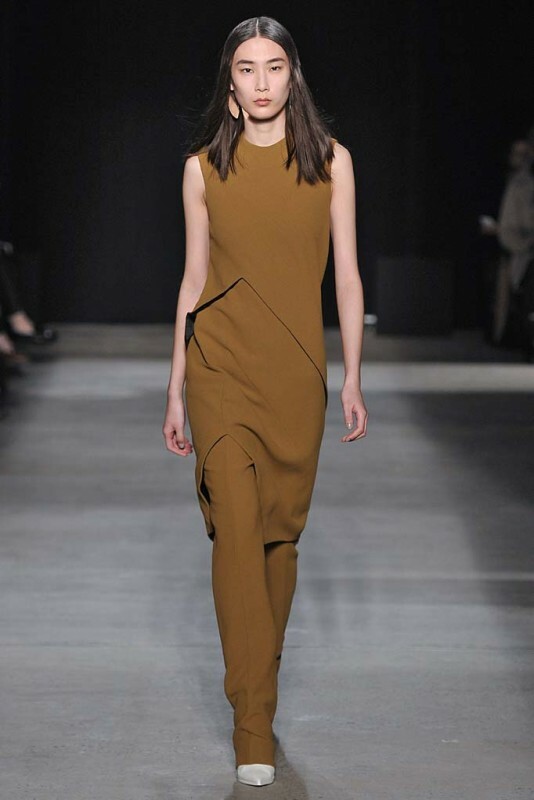 Who doesn’t love a minimalist silky slip dress from Narciso Rodriguez that can be worn in any season? 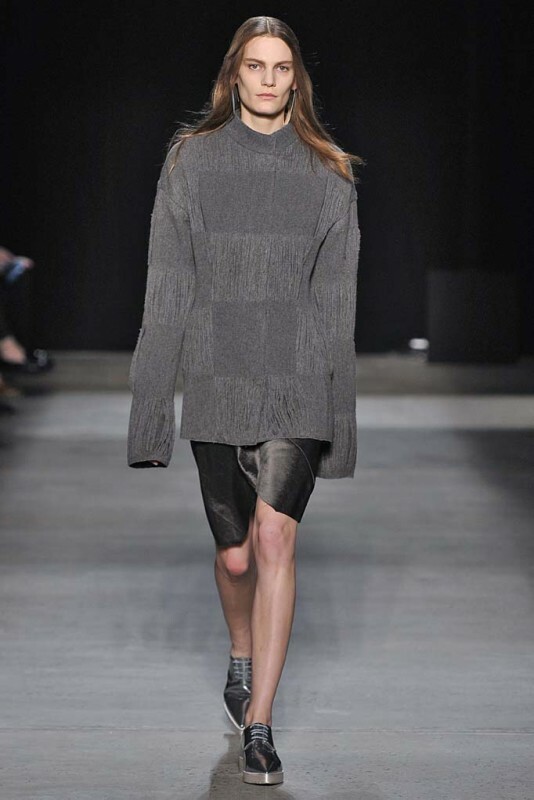 Top that off with a thick knit sweater et voilà, winter ready. 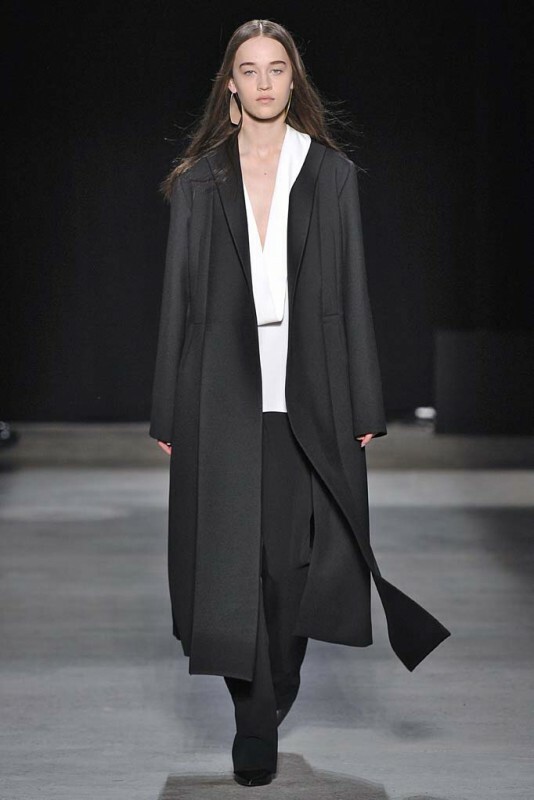 Perhaps this is the answer to the “buy now, wear now” retail dilemma, show versatile pieces—some of which can be worn year round. 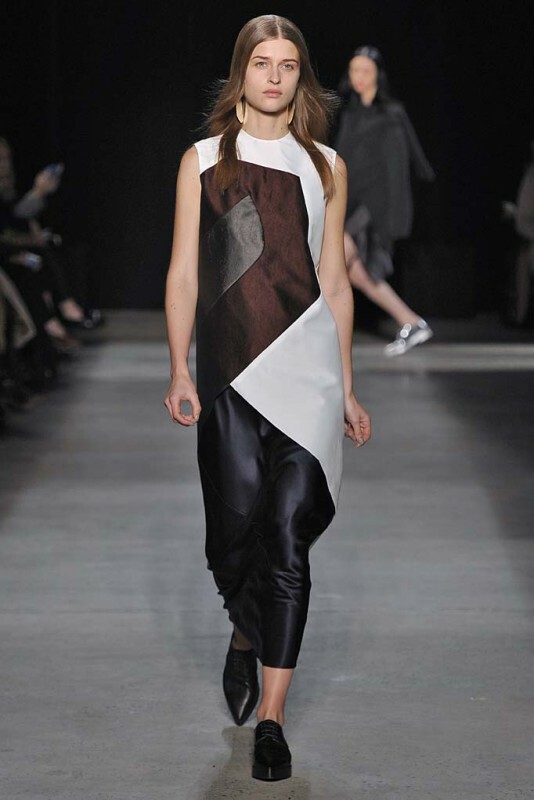 Monochrome assym dresses worn over pants felt equally perennial. 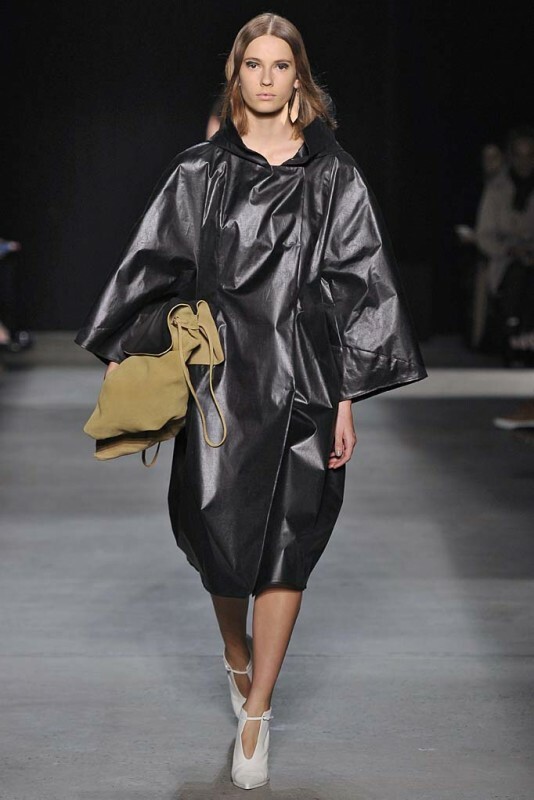 A pair of gesso plissé wrap coats completed the cozy chic vibe and some metallic paper silk dresses were about as loud as Narciso is willing to go. 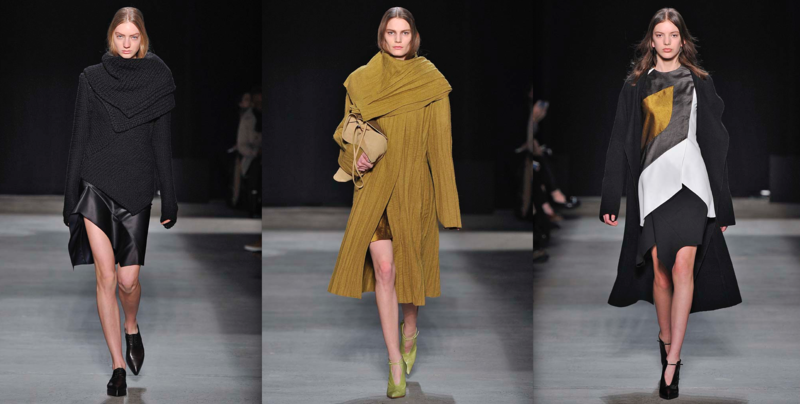 There’s nothing too out of the box at a Narciso show, but when a simple sweater or silk dress is cut just right it can make all the difference in the world to a woman of discerning taste and that’s why his elegant but understated clientele (like front row attendee Claire Danes) keep coming back for more.